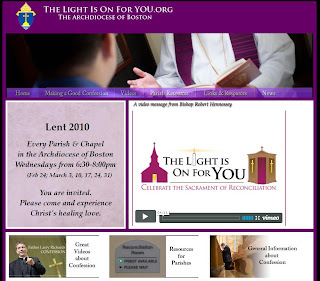 Roman Catholic Identity: Archdiocese of Boston is "Leaving the Light On for You"
Archdiocese of Boston is "Leaving the Light On for You"
This upcoming Lenten season Cardinal O'Malley and the Archdiocese of Boston is inviting everyone to return to the practice of frequenting the Sacrament of Penance. 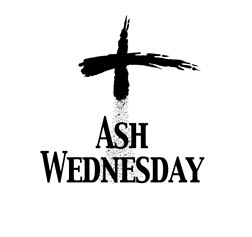 Beginning Wednesday, February 24th, and continuing every Wednesday throughout the season of Lent, every Church and Chapel in the Archdiocese will be open from 6:30-8:00 PM for Confession. 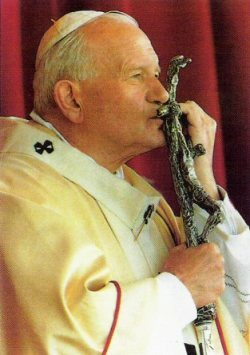 They have launched a website with excellent resources (videos and documents) on how to make a proper confession, an examination of conscience, and focused examinations for married couples, priests and religious and teens.